How do you know you’ve found the right builder for your new custom built home, home renovation or home extension? You’ve found the right custom home builder when they’re happy to answer all your questions on the spot! By dealing direct with Wayne Stewart, you experience a transparent process from project concept to building completion.Get an original custom home that’s built for you. Your unique home is waiting for you. Choose home renovations that add value, create privacy, cut your bills and provide beautiful spaces to suit your changing needs. Experience a whole new outlook on your home with a Wayne Stewart home extension. Raising standards as custom home builders Melbourne. With over 24 years of building experience in custom home building, home extensions and renovations, you are certain to appreciate our exceptional building work that preserves the structural integrity of your home and lasts a lifetime. 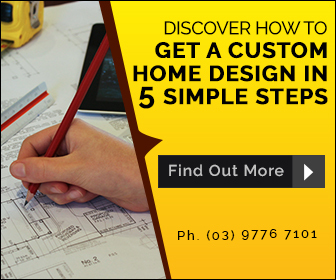 Call us now and tell us your building ideas and dreams: 03 9776 7101 – speak to Colette. Wayne Stewart Custom Home Builder constructs Homes, Home Extensions & Renovation projects in these areas of Melbourne; Brighton, Sandringham, Hampton, Beaumaris, Dromana, Point Nepean, Flinders, Rosebud, Mt Martha, Mt Eliza and all surrounding areas. However, if you have a project outside of these areas, give us a call and tell us what you have in mind. Who can I speak to throughout the building process? Will the building site be kept clean and tidy?